Founded in 1982 by its president, Dr. Stephen White, WTS is recognized as an early contributor and continuing provider of contemporary workplace and campus threat assessment services. Among the first to provide organized workplace critical incident debriefing programs in the early 1980s, our principal focus since 1990 has been violence risk assessments and threat management, consultation and training. WTS services are based on sound clinical, research, and extensive case experience in preventing workplace and campus homicide and serious violence. We were among the first to examine these phenomena in the 1980s and to offer risk management consultation to employers. We are known for our responsiveness, knowledge of corporate and campus environments and practices, and for improving security, legal, and employment status decisions through more accurate assessment of the nature, seriousness, and likelihood of violence risk. Our training modules consistently receive high ratings for their substance and practical benefit for attendees. Intervening with recognized and prudent strategies for the purposes of interrupting escalation, reducing risk, redirecting stakeholders focus for non-risk situations, and managing workplace and campus disruption and anxiety. WTS staff consultants are licensed mental health professionals with established records of specialization in risk assessment and risk management strategies. All have developed strong independent practices in addition to their WTS affiliation and service. Most of our members have academic affiliations at major universities and several are regular contributors to empirical research and peer-reviewed professional literature. We have accomplished thousands of consultations to employers of all sizes in diverse industries, governmental agencies, and in campus contexts. We work collaboratively with legal, human resource, and security managers in their efforts to maintain safe workplace and academic communities. 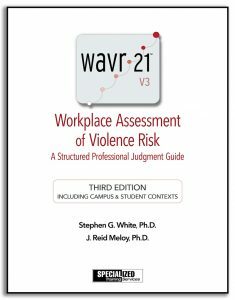 Dr. White and co-developer Dr. Reid Meloy are the authors of the WAVR-21, increasingly recognized as the best evidenced-based structured professional judgment guide for the workplace assessment of violence risk. Additional related services include consultation and training on complex “difficult employee” cases, threats to public figures and celebrities, bullying, sexual deviance, vexatious litigants, conflict management, and expert testimony. 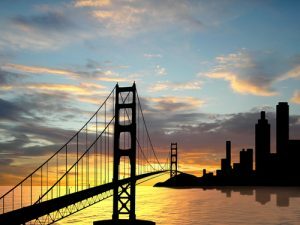 Headquartered in the San Francisco Bay Area, we have associates and colleagues in Southern California, Nevada, Colorado, Illinois, Minnesota, Massachusetts, and elsewhere. In recent years we have expanded our services globally and now benefit from strategic alliances with colleagues in Europe and Canada. We are available to provide services in any location. We also enjoy professional relationships with legal and security specialists to whom we can refer our clients.